Ed Whitacre is credited with taking over the corporate reins at General Motors (GM) when the automotive manufacturer was on the brink of bankruptcy during 2009 and turned the company around in magnificent fashion. In this business memoir, the native Texan explores his unique management style, business acumen and patriotism. 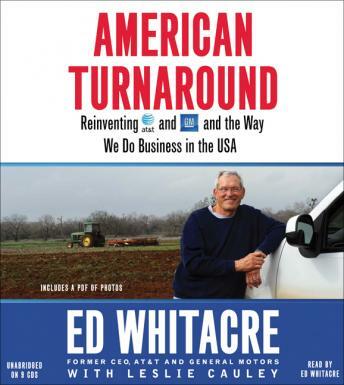 It was President Obama who reached out to Ed Whitacre to come out of retirement and take over GM in 2009. A down-to-earth, no-nonsense Texas native with a distinctive Texas twang in his voice, Whitacre was reluctant to come out of retirement to work at GM. Before being pulled out of retirement to run GM by Obama, Ed Whitacre had spent his entire corporate career in the telecom business, where he ultimately ended up running AT&T.